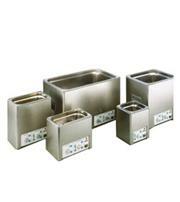 Compact Bench-Top Ultrasonic Cleaners for small components & parts. 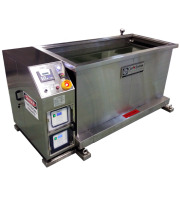 The Cyclosonic Single Tank is a powerhouse ultrasonic cleaning machine designed for heavy duty parts. 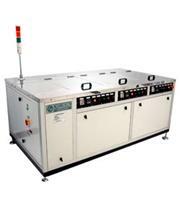 For modular multi-stage ultrasonic cleaning requirements. The Cyclosonic Cleaning System is a standalone or series of Cleaning Baths which makes use of Ultrasonic Medium (sound) to help clean a washpart thoroughly.